This shows the preparation for the second operation. We have bolted our fixture plate down to the mill bed and aligned the dowel pins parallel to the X-axis. The use of precision dowel holes put in during the first operation allows us to maintain control of where we are when we turn the part over. The part is held down by 4 socket head capscrews and aligned on 2 dowel pins. The screw heads are deeply counterbored into the part so we can machine most of the shape without hitting the screws. This type of fixturing is very robust and accurate. The same fixture we’re using here will also be used to hold the part when it is mounted on the rotary (4th) axis. This shows the part after we’ve finished machining the second side. Now the basic “profile” is complete except for removing the holding tabs which will happen later. Notice that the capscrews are now visible just below the cut surface, so we removed quite a bit of the holding tab with these cuts. This was done with a high-helix 3-flute carbide endmill which roughs and finishes quickly, and a 1/2″ carbide ball endmill which created the cylinder shape and the floor area of the two pockets. 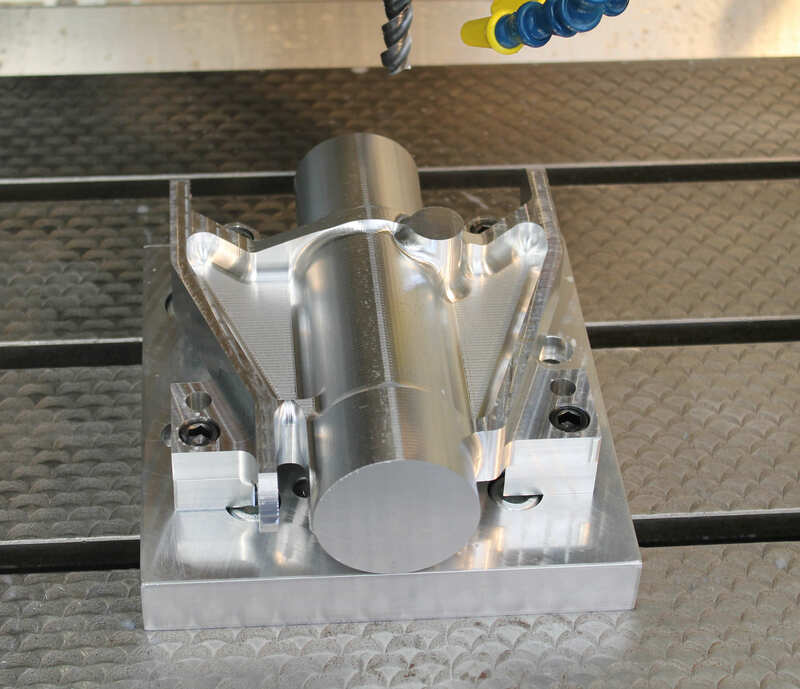 We are using SmartCam Freeform Machining software to create the toolpath from a model made in Solidworks. 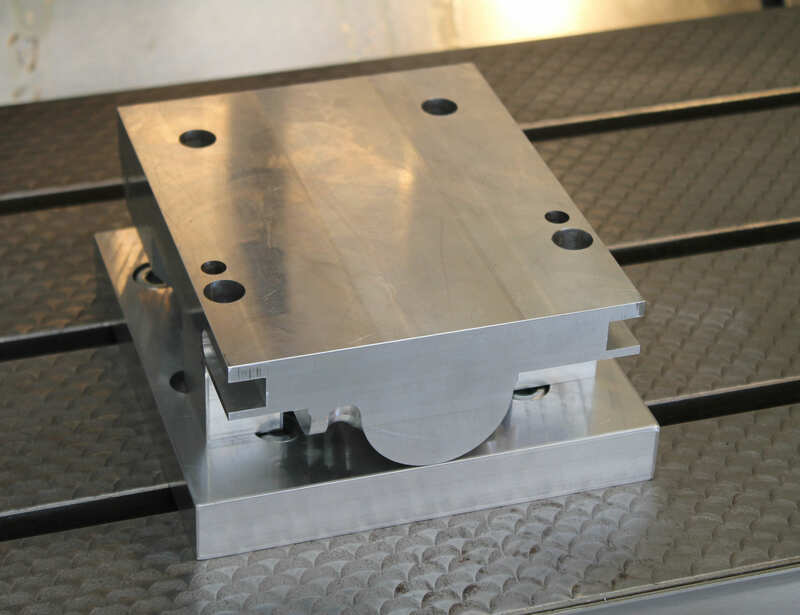 This entry was posted in Machining by designintentblog. Bookmark the permalink.